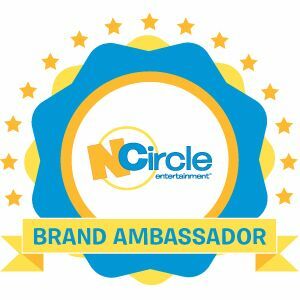 DISCLOSURE: This review and giveaway was made possible by iConnect Influencer Management and Litehouse Foods. I was compensated for my participation in this campaign, but all opinions are 100% mine. Fourth of July is almost here! For the past few years, we've been going to my sister's house for a BBQ on 4th of July. I usually bring something and I had been struggling with what to make this year. I usually bring a dessert, but I thought I'd do something a little different this time and make a side (though knowing me, I'll probably throw together some sort of dessert, too!). I love coleslaw, but often at stores you find just the plain cabbage and carrots slaw. I wanted to make something a little different. I remembered having a coleslaw from Harris Teeter once that was really good. It wasn't really creamy like other grocery store deli coleslaw. It was crunchy, but I coudn't remember what it had in it. I just remembered it tasting really fresh. To go for that fresh taste, I opted out of buying a coleslaw mix. Instead, I bought fresh heads of red and green cabbage and other fresh ingredients, like a red onion, red pepper and grapes. I did, though, buy shredded carrots. It's such a timesaver! 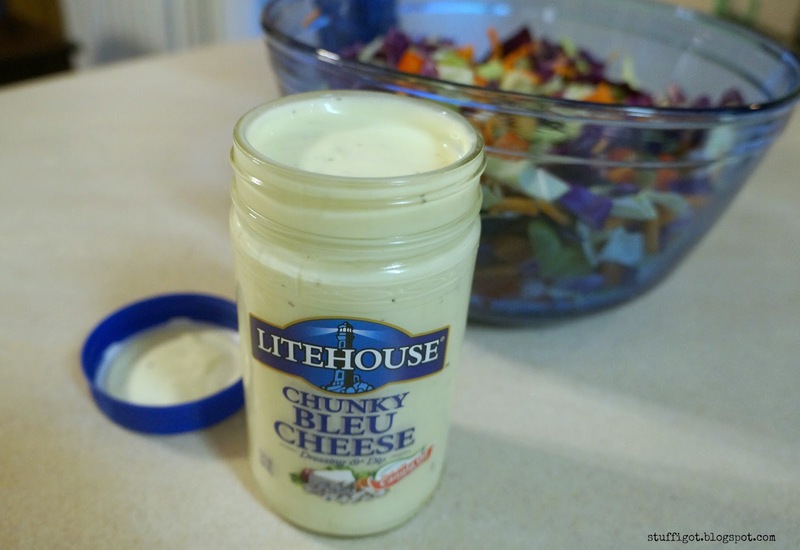 I paired my fresh veggies with Litehouse Chunky Bleu Cheese Dressing. 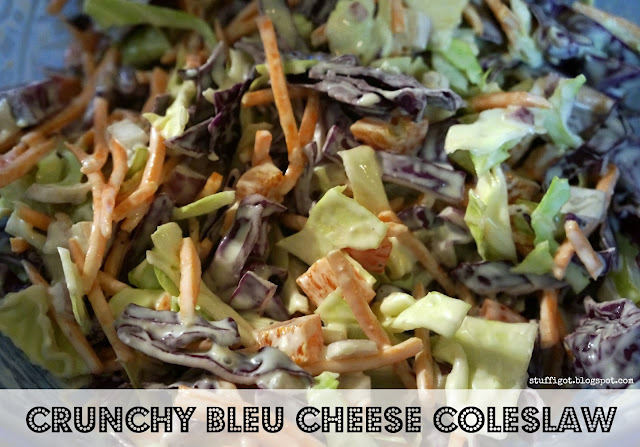 Fresh foods deserve fresh tasting dressings that are packed with ingredients like buttermilk and real blue cheese. Litehouse makes delicious refrigerated dressings that can be found in the produce section -- right next to other fresh and delicious veggies. Cold is where it's sold! The recipe is pretty simple. Chop your veggies, toss them together in a bowl with Litehouse Chunky Bleu Cheese dressing, chill and you're done! 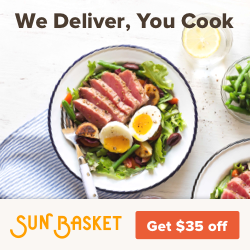 It's super easy to make for your next BBQ! 1. Combine the first six ingredients in a large bowl. 2. Pour dressing over mixture and toss to coat. 3. Chill for 1-2 hours or overnight before serving. The coleslaw was really good. The sweetness of the grapes kind of balance out the bleu cheese and red onion flavors. The red pepper gives it a nice crunch. You could also add or substitute in red grapes. Sliced almonds would also work nicely in the coleslaw. I didn't even wait to chill the coleslaw. 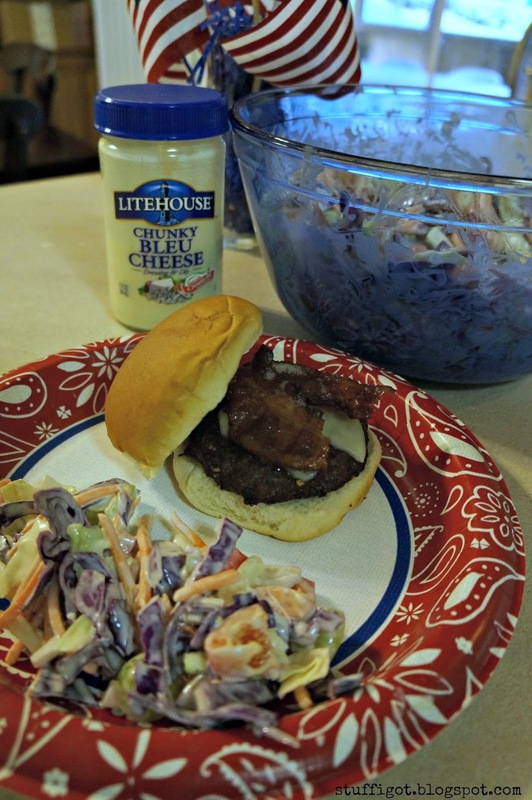 We were grilling burgers tonight and I thought the coleslaw would be a perfect side! Real food deserves real dressing. 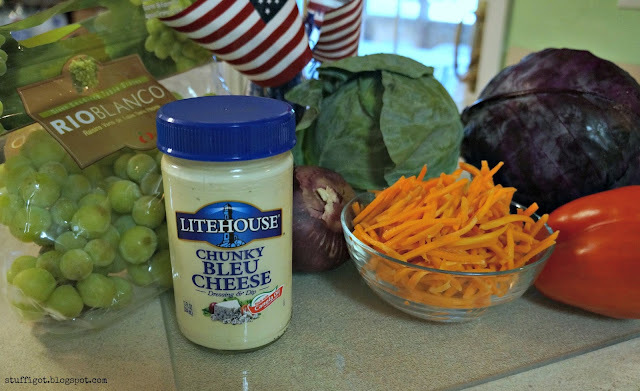 And now you can enter to win two coupons to get two free Litehouse Foods products! Enter using the widget below. Giveaway ends July 8, 2016. US residents only. 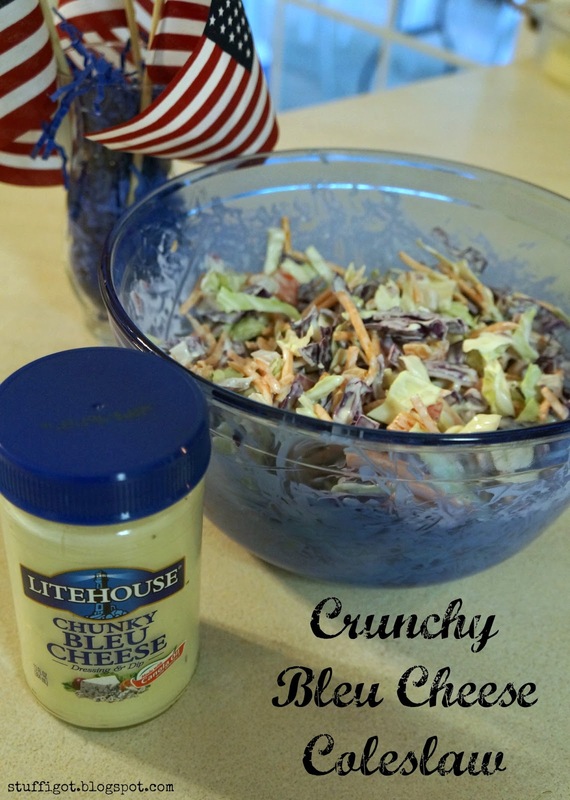 I think I would love to try the recipe you made, but also use them on salads and for dips! I would use it in potato salad. We eat a ton of potato salad in the summer with our bbq, and ranch is a nice change of pace from the traditional mayo or mustard. I'd like to make a spinach & pear salad with blue cheese dressing! I would use the dressing in a pasta salad.